Do you love skiing? The best ski resorts in Colorado offer world-class facilities and slopes like you’ve never seen before! Whether you're a semi-professional skier or are entirely new to the much-loved sport and pastime, the best ski resorts in Colorado are among the best in the world. From the majestic Aspen and Vail mountains to the Rockies, the best ski resorts in Colorado offer year-round power as well as alternative outdoor activities like biking and hiking. Selecting the right ski resort in Colorado will make a world of difference in your next trek to the slopes! 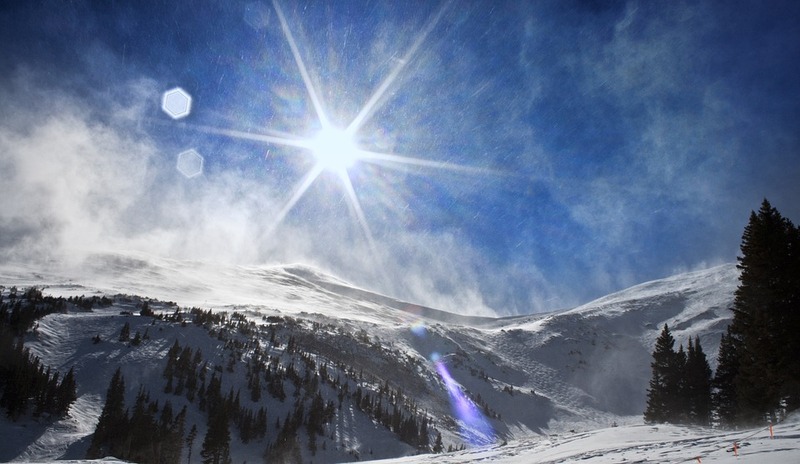 First of all, to correctly understand the best ski resorts in Colorado, you have to know about the best ski areas in Colorado. There is no shortage of killer Ski areas in Colorado, in fact, there are so many world-class ski resorts in the state due to that very fact. That said, let's have a look at 5 of the best ski areas in Colorado. Each item that made our final list of best ski resorts in Colorado sit on on, or near, one of these five prestigious ski areas. The Breckenridge Ski Area initially opened back in 1961. Since then the resort has expanded into a massive ski area. Breckenridge sprawls out over four huge peaks. It consists of five main terrain parks, a handful of half-pipes, two state-of-the-art six passenger SuperChairs, as well as a super-high chairlift. The resort also runs the renown Ski & Ride School. The place has proven itself as one of the best ski resorts in Colorado. Also, Breckenridge Ski Resort is also home to a historic mining town, and shopping, dining, and entertainment venues. The resort has a 4.5 out of 5 stars rating based on TripAdvisor traveler reviews. 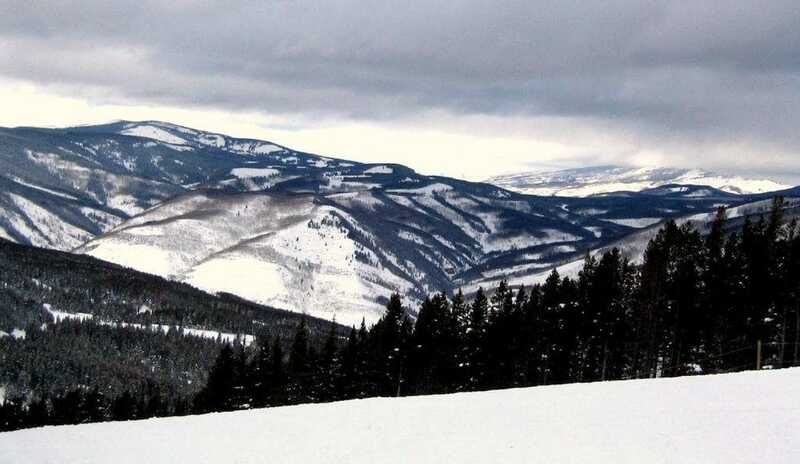 The Steamboat Ski Area sits on Mount Werner in the Routt National Forest. Initially opened in 1963, today It is rated as one of the best ski resorts in Colorado, without a doubt. The ski area consists of four terrain parks with 165 trails spread out over just under 3,000 acres. Nearly half of the ski area is rated as advanced, with an additional 42 percent as intermediate, and 14 percent as beginner. It also contains one of the most popular snowboarding and skiing superpipes in the United States. One of the unique features of the Steamboat Ski Resort is its trademark trail “champagne powder” as well as its night-time skiing. The resort has a 4.5 out of 5 stars rating from TripAdvisor traveler reviews. 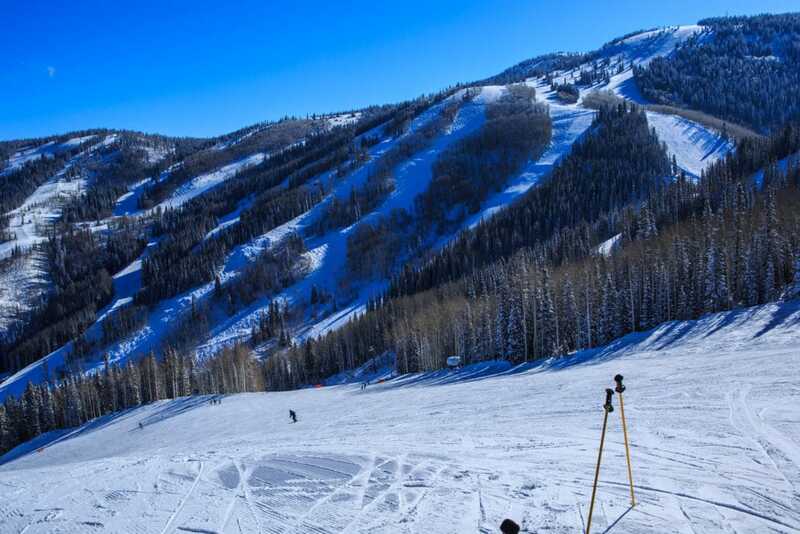 Perhaps the most famous of all the best ski area in Colorado to make our list is the Vail Ski Resort. This one-of-a-kind resort is a skier's wildest dream. First opening its doors back in 2962, Vail is now widely considered as one of the best ski resorts in Colorado, and indeed, the entire world. As the third biggest one-mountain ski resort in the United States, Vail offers over 5,250 acres of premier slopes, cross-country trails, and seven bowls. The majority of the ski area at Vail Ski Resort rates as intermediate level. The resort has a rating of 4.5 out of 5 stars via TripAdvisor traveler reviews. Another of Vail’s most excellent properties is the Beaver Creek Resort. Sitting snug in the Rockies, It is one of the most significant ski resorts in the western United States. As a whole, the Beaver Creek Resort consists of three smaller “villages, Beaver Creek Village, Bachelor Gulch, and Arrowhead. Built in the early 80s, the resort experienced a rough first few years. However, they have made strives in becoming of the best ski resorts in Colorado. The resort is open all year-round and is all you could ever want in excellent skiing or snowboarding area. Beaver Creek is also a great getaway for those who enjoy other outdoor sports such as hiking and mountain biking as well. The resort has a 4.5 out of 5 stars rating based on TripAdvisor traveler reviews. 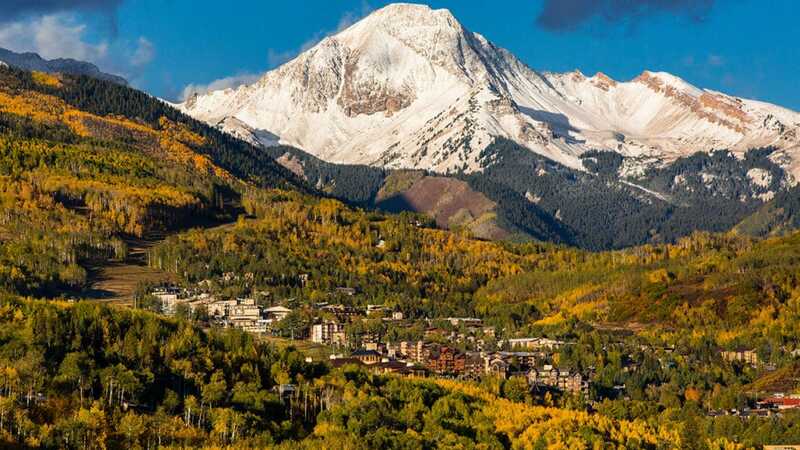 The Aspen and Snowmass ski area, opened in the 1940s, sits just above Aspen, Colorado. The 673-acre area sprawls over Aspen mountain, Richmond Ridge, and the Elk Mountains. 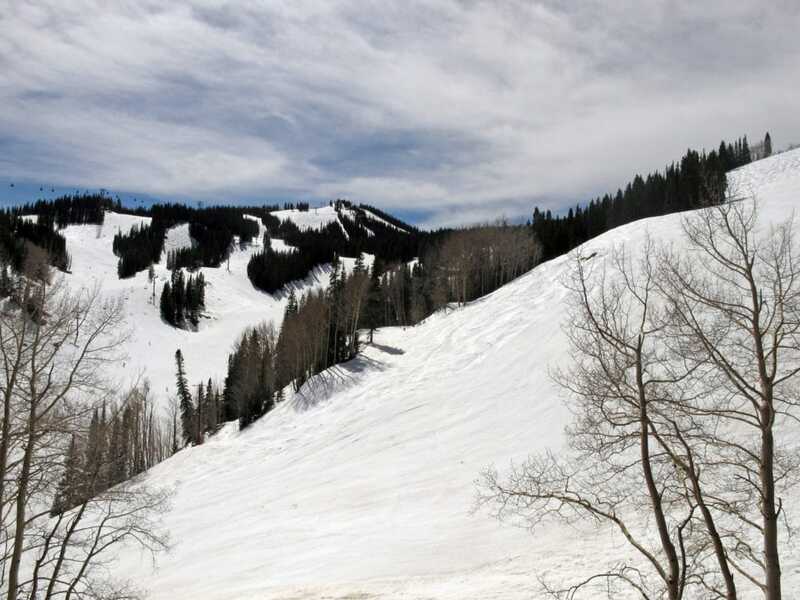 It is the first ski area venture ever undertaken by the Aspen Skiing Company. Somewhat smaller in comparison to many competitor ski areas, however, consisting of much more impressive pristine nature. The Aspen Snowmass ski area is legally operated via a permit by the U.S. Forest Service, as it sits within the boundaries of the White River National Forest. The Aspen Snowmass Ski Area has a 4.5 out of 5 stars rating due to TripAdvisor traveler reviews. Now that we’ve covered the five most popular ski resorts, it's time for the list you’ve been waiting for. So, without any further ado, here are the 13 best ski resorts in Colorado to visit this year! The Tivoli Lodge is in the Vail Village. The lodge offers excellent rooms with everything from flat-screen TVs to complimentary WiFi and daily breakfast. Many of the rooms have scenic views of the village and surrounding mountains. Tivoli Lodge has a state-of-the-art fitness center on the property as well. In addition to great service, cozy rooms, and a good view, the lodge is also home to the Brown Hound Lodge. So, if you enjoy finishing the evening off with a cold beer, cocktail, or busting out a few repetitions at the gym, Tivoli Lodge is one of the best ski resorts in Colorado for you. Tivoli Lodge is rated 5 out of 5 stars via TripAdvisor reviews. 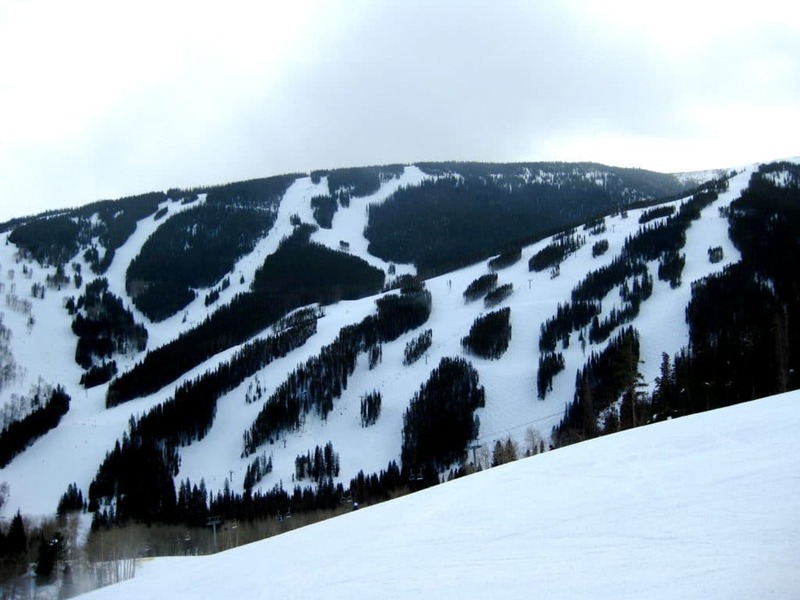 The Beaver Run Resort is one of the most widely-popular of the best ski resorts in Colorado. There are few ski resorts in the state of Colorado with such great reviews. The resort itself is conveniently located approximately five minutes from the center of Breckenridge. Rooms come with flat-screen TVs, coffee-makers, and all sorts of modern amenities. The resort has a spa facility, a restaurant, as well as fitness and wellness centers. Another advantage of the Beaver Run Resort is that its situated less than 350 feet away from the Beaver Run SuperChair. For those who aren’t so enthusiastic about hitting the slopes, there are hiking and biking trails as well as excellent spots for fishing. Beaver Run Resort is rated 4.5 out of 5 stars from TripAdvisor traveler reviews. The Pines Lodge, a RockResort, sits within the Beaver Creek Ski Area. Each room at the lodge comes with a personal safe, flat-screen TVs, and other amenities. The lodge houses the Grouse Mountain Grill, which serves fine American cuisine for breakfast, lunch, and dinner. There is also a gym and meeting centers on the property. Skiing, hiking, and golfing are the favored activities of those who stay at the lodge. Furthermore, the Pines Lodge is conveniently located only five minutes walk to the Elkhorn Lift. The lodge also offers storage for ski equipment as well as free parking. The Pines Lodge, a RockResort has a rating of 4.5 out of 5 stars based on TripAdvisor traveler reviews. 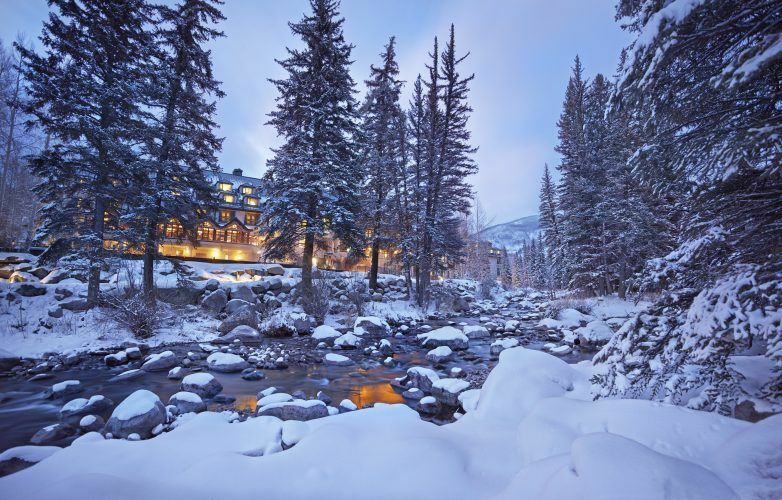 One of the most luxurious of the best ski resorts in Colorado is the Arrabelle at Vail Square. Another RockResort, the Arrabelle has all of the best amenities available in the region. Each room comes with flat-screen TVs, cable, DVD players, free WiFi and much more. The rooms also have a nostalgic Alpine theme including a fireplace, kitchenette and writing desk. The resort is only a five-minute walk from the Eagle Bahn Gondola. 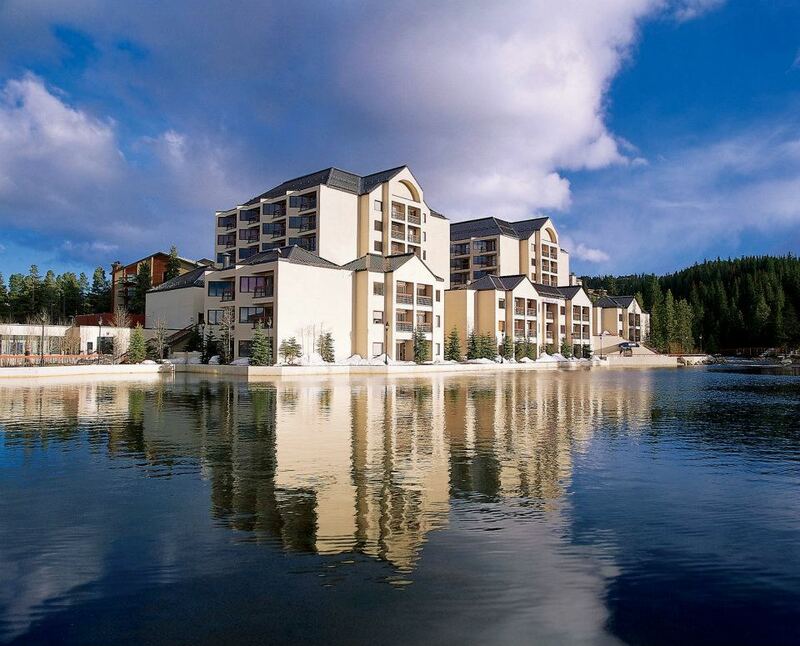 There center ski-in and ski-out access, 24-hour reception, and a fitness center as well. You will also enjoy fine dining options for breakfast, lunch, and dinner at the cozy Tavern on the Square. There is also a terrace for sipping cocktails and enjoying the panoramic views. The Arrabelle at Vail Square, a RockResort has a rating of 4.5 out of 5 stars based on TripAdvisor traveler reviews. 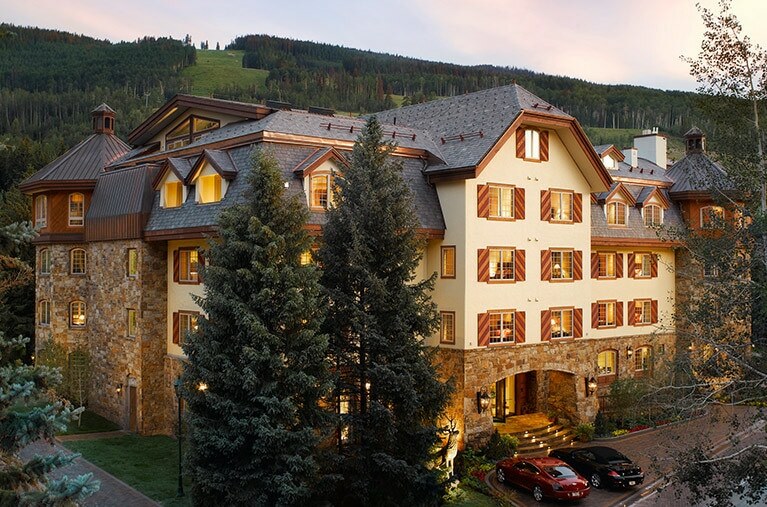 The Hotel Talisa is one of Vail’s best ski resorts in Colorado. Situated a mere five minutes drive from the Lionshead Village and Vail Village. The resort is luxurious, offering outdoor heated pools and fire pits, hot tubs, a lounge, and a fitness center. There is also a shuttle service to the resort for free and children’s programs including a kids club and a game room. Furthermore, Hotel Talisa also features a state-of-the-art ski school. And, if you don’t get into skiing, or want to visit during the off-season, there are all sorts of other activities available like biking, horseback riding, and more. Hotel Talisa, A Luxury Collection Resort, Vail is rated 4.5 out of 5 stars based on TripAdvisor traveler reviews. 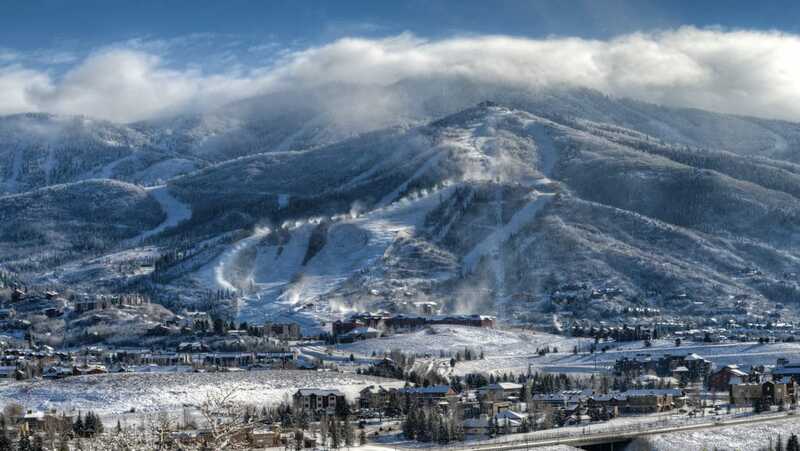 One of the most sought after of the best ski resorts in Colorado is the Sheraton Steamboat Resort Villas. Situated within the Steamboat Ski Area, the resort offers much more than just a comfortable room. There is an American cuisine restaurant on-site, as well as an outdoor swimming area, hot tub, fitness center, gardens and more. The rooms themselves are both modern and comfortable, including full kitchens, dining area, flat-screen TVs, and central air. The resort is excellent for taking advantage of the nearby Steamboat Ski Area, as well as for kicking back and relaxing in style. The Sheraton Steamboat Resort Villas has a rating of 4.5 out of 5 stars based on TripAdvisor traveler reviews. Another of the best ski resorts in Colorado located within Breckenridge is the One Ski Hill Place. This highly-acclaimed resort is one of the most currently popular in the whole state. It is located conveniently near the BreckConnect Gondola, the Snowflake Chair, the QuickSilver Super6, and both 5-Chair and 7-Chair. The rooms are state-of-the-art, with everything you’d expect from a luxurious hotel. Its location within Breckenridge Ski Area makes it more than ideal for those who enjoy skiing, as well as extreme biking and hiking. The One Ski Hill Place has a 4.5 out of 5 stars rating based on TripAdvisor traveler reviews. The Crystal Peak Lodge is one of the nicest ski-in and ski-out resorts in Colorado. 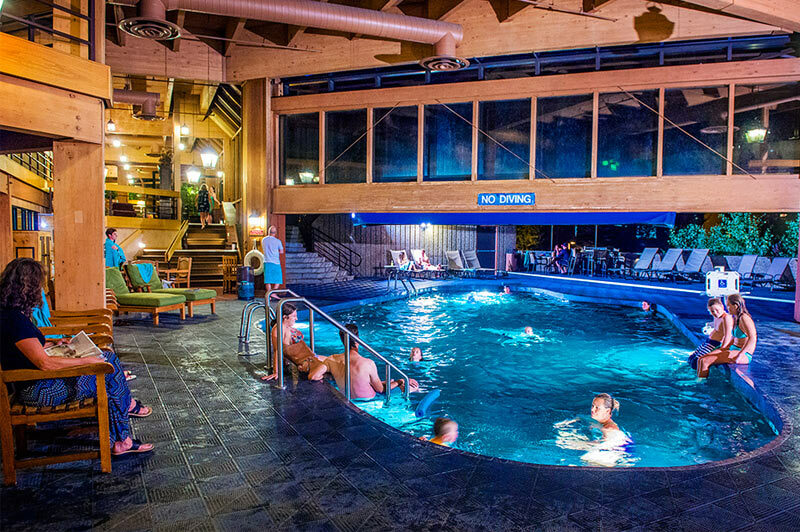 A super popular lodge, the Crystal Peak offers two movie lounges, a game room, free storage for ski equipment and more. The resort is located immediately beside the Independence SuperChair Gondola, which is a huge bonus for skiers. Each room in the resort comes with fireplaces, flat-screen TVs, cable, washers and dryers, refrigerators, and dishwashers. The resort also has a hot tub and fitness center as well as free parking. The Crystal Peak Lodge has a rating of 4.5 out of 5 stars via TripAdvisor traveler reviews. Another of the best ski resorts in Colorado is Viceroy Snowmass. Opened year-round, the resort is the definition of luxury, without a doubt. It sits only a few feet from the Snowmass Mountain ski lifts, excellent for those who came for the slopes of the Aspen Snowmass Ski Area. Each room in the resort comes with comforts including designer interiors, kitchenettes, DVD players, HD TVs, panoramic views, and even Egyptian cotton sheets. The resort also includes the TORO Kitchen & Lounge offers excellent Pan-Latin menu options as well as having a cozy lobby bar with a giant double-sided fireplace. Furthermore, the resort has a diverse range of spa treatments, massages, a fitness center, waterfall, and infinity pool. 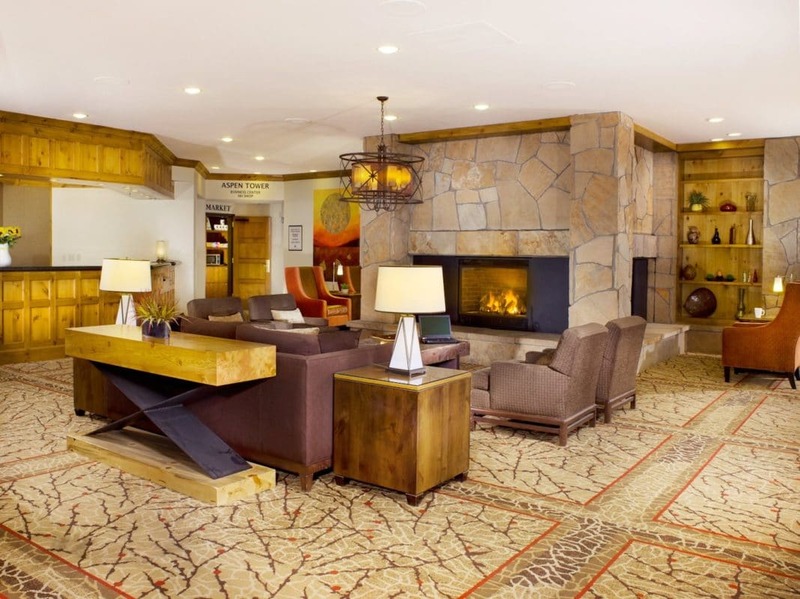 The Viceroy Snowmass is rated 4.5 out of 5 stars via TripAdvisor traveler reviews. The Westin Snowmass offers a one-of-a-kind ski-in and ski-out resort experience in Colorado. With two restaurants, a spa, fitness center, luxurious rooms, and excellent 24-hour room service, the Westin Snowmass has it all. The resort also has a free shuttle service from the Aspen-Pitkin County Airport. Each of the rooms comes with all modern amenities including flat-screen TVs, comfortable furniture and even private balconies. The restaurants serve breakfast, lunch, and dinner. Westin Snowmass has a 4.0 out of 5 stars rating based on TripAdvisor travel reviews. 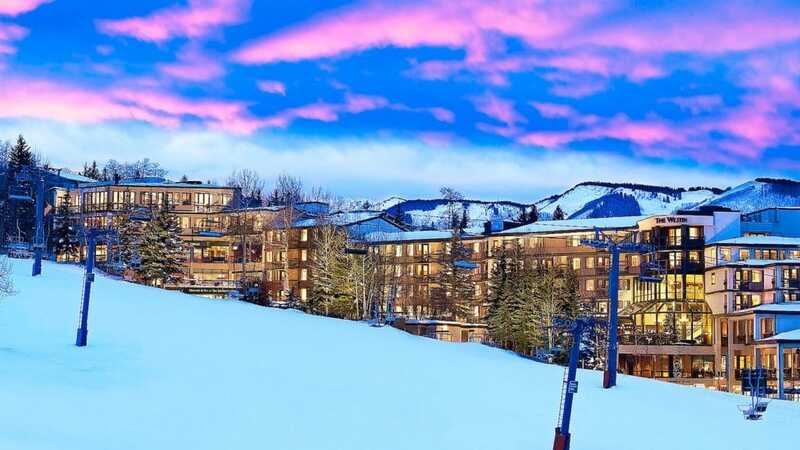 Another of the best ski resorts in Colorado situated just a few hundred feet from the Eagle Bahn Gondola is the Vail Marriott Mountain Resort. A well-known ski resort around the world, Vail Marriott features a luxurious spa center with plenty of manicure and massage options, a restaurant, bar, hot tub, and much more. Private parking is available as well. Each of the rooms at the resort come with comfy beds as well as plush furniture and seating. They also have coffee makers, fridges, and sleek bathrooms. Furthermore, the resort offers ski storage, a ski school, children’s programs, and even a golf course. Also, Adventure Ridge and PRide Express are less than a mile away. Vail Marriott Mountain Resort has a 4.0 out of 5 stars rating due to TripAdvisor traveler reviews. No list of hotels or resorts would be complete without at least a mention of the famous Hilton brand. Hilton’s DoubleTree in Breckenridge is no exception to the Brand’s luxurious reputation. Situated in the district of Peak 9 in Breckenridge, the DoubleTree is one of the best ski resorts in Colorado without question. The resort has swimming pools inside and outside, hot tubs, spa, sauna. There is also an excellent dining restaurant on site. The rooms themselves come with all the most exceptional options such as mini-fridges, flat-screen TVs, cable, WiFi, iPod docking stations, and other comfortable furnishings. Furthermore, the rooms have stunning panoramic views of the surrounding Rocky Mountains. The DoubleTree by Hilton Breckenridge has a rating of 4.0 out of 5 stars rating based on TripAdvisor traveler reviews. 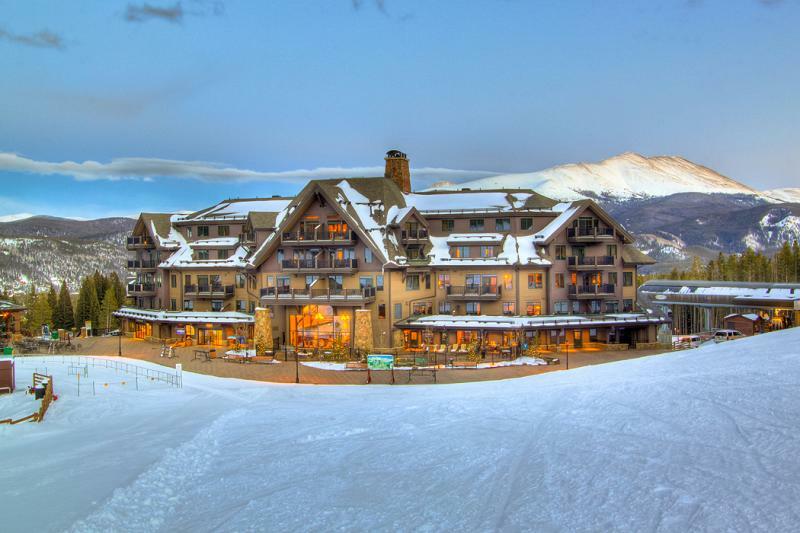 Last, but by no means, the least, on our list of the best ski resorts in Colorado is Marriott's Mountain Valley Lodge at Breckenridge. Situated approximately three miles from the Breckenridge Ski Area, the resort offers ski storage as well as access to some of the most excellent skiing in Colorado. There is a pool, spa with additional pool, as well as massage treatments available. Each of the rooms come with elegant furnishing and modern amenities such as iPod docking stations and free WiFi as well as kitchenettes and dining areas. Furthermore, if the weather permits it, there are outside barbecue facilities for cooking-out. The Marriott's Mountain Valley Lodge at Breckenridge is rated 4.0 out of 5 stars by TripAdvisor travelers. Want to experience the best skiing Colorado has to offer? There’s something for everyone on our list of the best ski resorts in Colorado! From never-ending slopes with powder for as far as the eye can see to state-of-the-art resorts with all the most luxurious amenities, the best ski resorts in Colorado have something for everyone. These 13 ski resorts are great for family vacations as they offer enough alternatives to skiing that everyone will enjoy themselves. Spas, hiking and biking trails, pools, fitness centers, and fine dining are just the tip of the iceberg of all there is to do at the best ski resorts in Colorado. Have you recently stayed at one of the resorts featured on our list? If so, how was your experience? We’d love to hear all about it! Or, do you know about another ski resort in Colorado that should have been featured in our list? Feel free to let us know in the comments section below! Jordan is a full-time writer from his home in southeastern Europe. When he isn't writing he enjoys trekking through national parks and foreign countries. Those scenes are just breathtaking that makes me wish to pack my bag and be there right now. It was lovely reading about these cool places.